Check out this upcoming Expo in Los Angeles. There is a new Expo coming up soon at the Los Angeles Convention Center. Looks like a great event, especially for people who cannot attend E3. Tickets are only $12 if you pre-order. According to their website Lisa Foiles and the father of Marvel Comics himself Stan Lee will be in attendance along with many other guests. Dpad and I plan on attending and will post any coverage we can get. To check the full list of guests and other info, visit their website at: ComikazeExpo.com. For now, here is the press release. Comikaze Expo, the largest multimedia pop culture, comic book, horror and gaming convention in Los Angeles, has set its date and location: November 5-6 at the Los Angeles Convention Center. Comikaze’s creators expect 60,000 attendees and more than 300 vendors. The show will kick off with appearances by the father of modern comics, Stan Lee, and Comikaze’s official “spooksperson,” horror icon Elvira, at the event’s ribbon-cutting ceremony. The first and only multimedia, cross-genre expo to hit Los Angeles, Comikaze Expo has created a pop culture extravaganza that brings together the best in comics, gaming, horror, sci-fi, fantasy, anime and all other cult programming. Its wide-ranging appeal has attracted celebrity appearances from icons and budding artists of this exciting world, including animators, comic book and anime artists, special effects teams, writers, actors, and filmmakers, among other creators, from both the mainstream and geek worlds. In addition to Elvira and Stan Lee, confirmed appearances include the cast reunion of The Police Academy franchise, among many others. This unparalleled event’s wide range of innovative programming and activities provide fans access to their favorite artists and creators. From independent film screenings, live shows and star-studded panels to fan contests, games, portfolio reviews and a masquerade ball, there is something for everyone and more at Comikaze. Family-oriented events are scheduled Sunday, November 6. Tickets are currently available through pre-sale at $12 each. Each ticket holder will receive their choice of a celebrity lithograph photo valued at $79-$189. 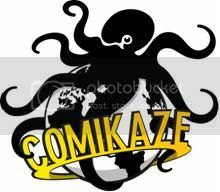 For more information about Comikaze, including sponsorship information, vendor applications and ticket sales, visit ComikazeExpo.com. Please address media inquiries to chaton@fusionintegrated.com.